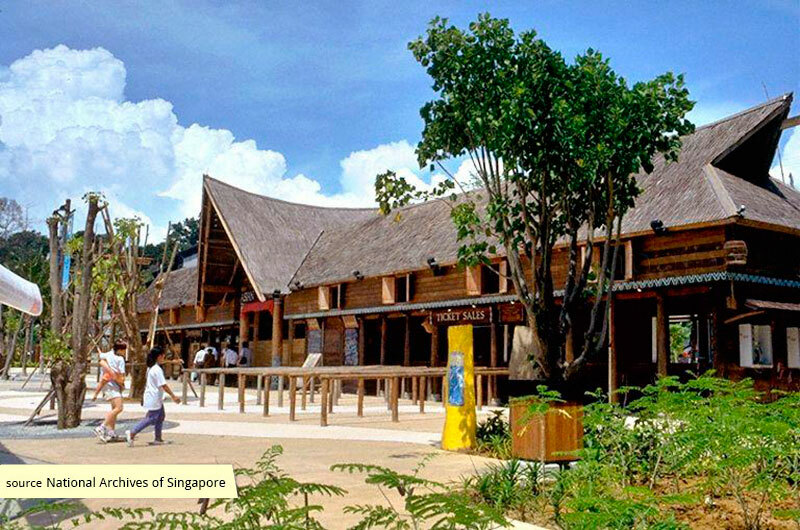 Located next to Sentosa's entrance, the Asian Village was intended to reflect Singapore's position as a gateway to Asia and depicted the traditional architecture, lifestyles, cuisines, and cultures of ten different Asian countries. 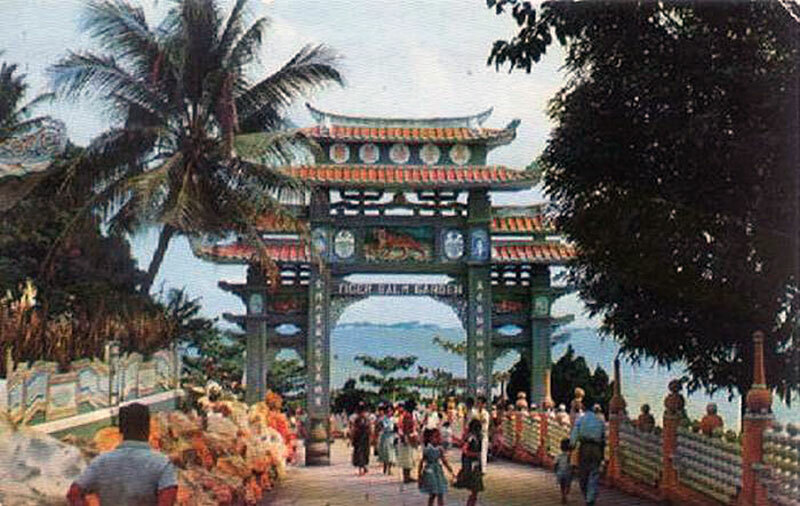 The preparations for new attractions on Sentosa such as Underwater World and Asian Village began as early as 1982 when the Sentosa Development Corporation (SDC) began to reclaim land around the island. 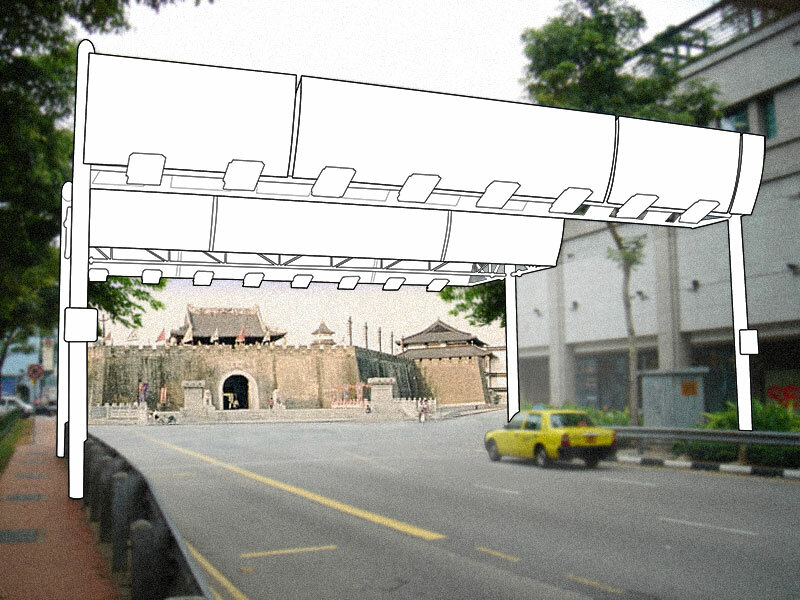 By 1988, the projects in the pipeline would also include Fantasy Island, the Riverboat Restaurant, and the Beaufort Hotel (The Singapore Resort & Spa Sentosa). Of these new attractions, the Asian Village was widely viewed as the tent-pole, expected to draw 3000 visitors daily, and 2 million annually. These projections were derived from the precedent which Asian Village was modelled after, the Polynesian Cultures Village in Hawaii, which depicted seven traditional villages in the Polynesian group of islands. 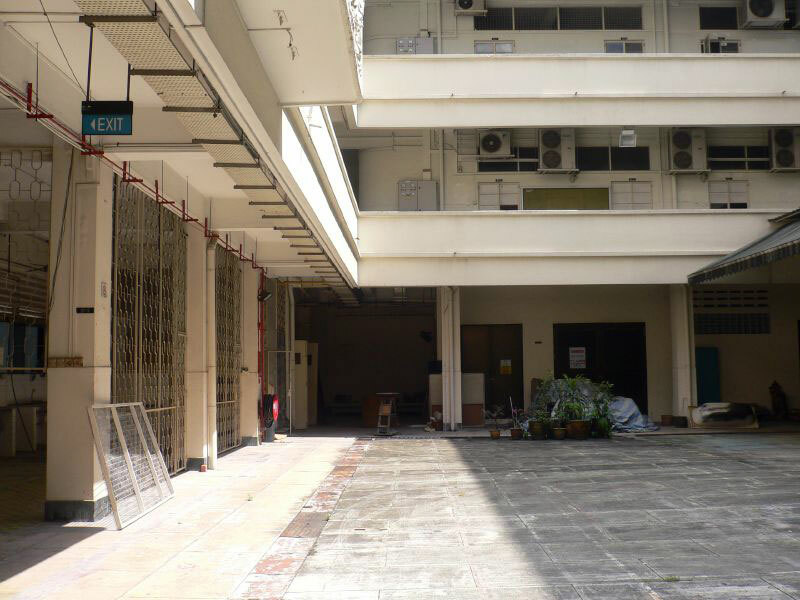 Given a 30 year lease and costing $60 million, the Asian Village got off to a rocky start when the Singapore Tourism Promotion Board and Chinese Pottery Arts and Handicrafts Pte Ltd (owners of Ming Village in Jurong) declined to join Jit Leisure's investment. 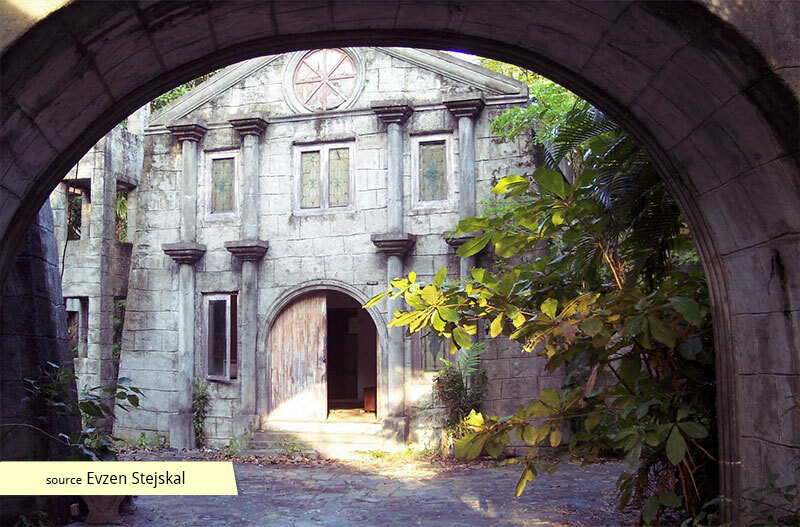 Nevertheless, outlook for the Village was exceedingly optimistic when it opened in December 1992. 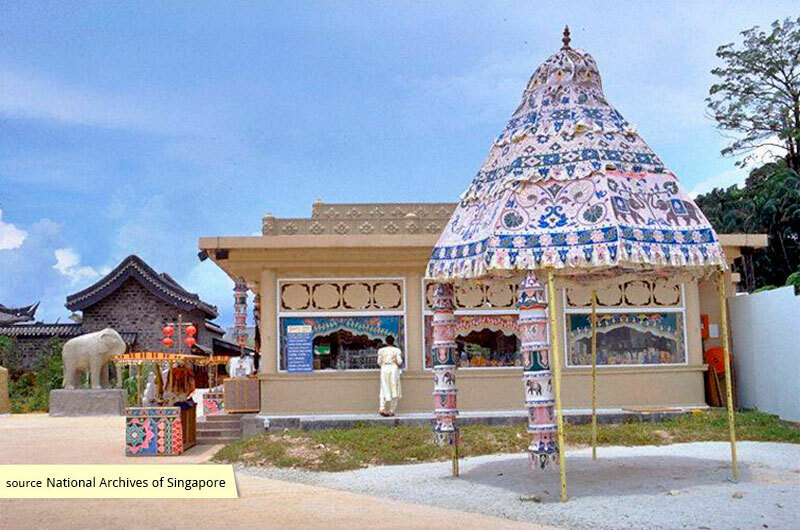 On show were villages from Asian countries such as Malaysia, Indonesia, Thailand, the Philippines, and India, while the entrance and administrative area depicted the flavour of old Singapore. Each village featured four sections - outlets serving native food with ethnic music and decorations, a pavilion for the display and sale of ethnic craft and souvenirs, an information hall to provide insights into the represented country's cultures, handicrafts and lifestyles, and a forecourt for traditional performances. 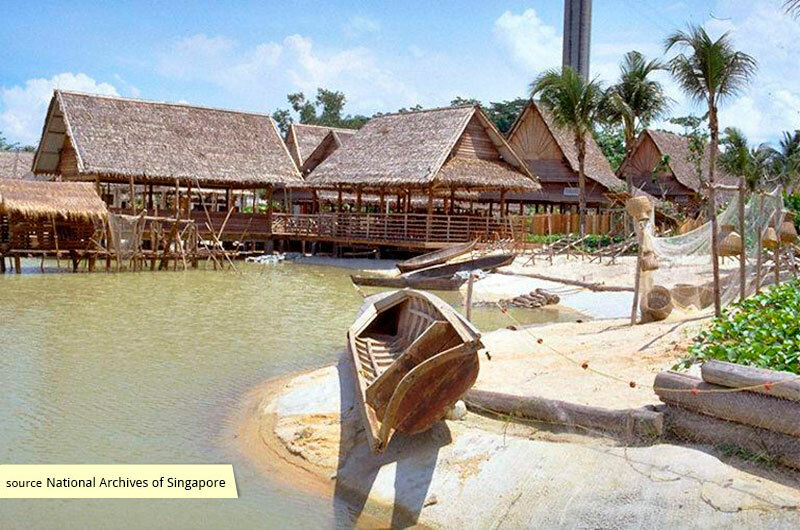 Waterways and lush landscapes typical of each country were not only used to form soft divisions between each of the villages, but also featured landing jetties and slipways for "floating" villages, such as the Brunei village which was built on stilts. The waterways also helped re-create unique traditional attractions such as the floating markets in Thailand. Mock landscapes, such as terraced rice fields and hillocks, were also present in the Asian Village and were designed to convey as much of the authentic atmosphere of its host country as possible. A central idea for the Village was also to have craftsmen from each country present to promote their culture, telling stories in the respective villages, combining aspects of entertainment with education. 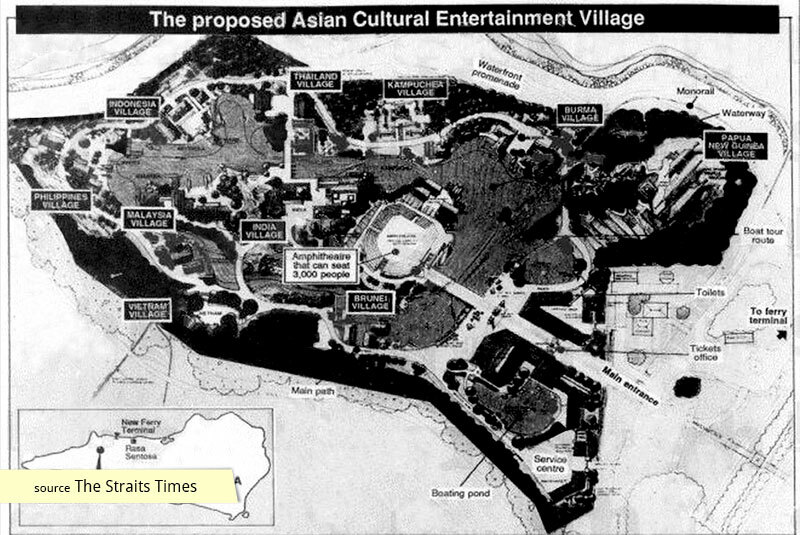 Much of that entertainment was planned to be offered at Adventure Asia, an amusement park featuring rollercoasters, bumper cars, boat rides, and a pirate ship, all given distinctively Asian identities and themes. By 1994, however, tenants who operated small businesses within the Village began complaining about meagre footfall, resulting in poor takings. 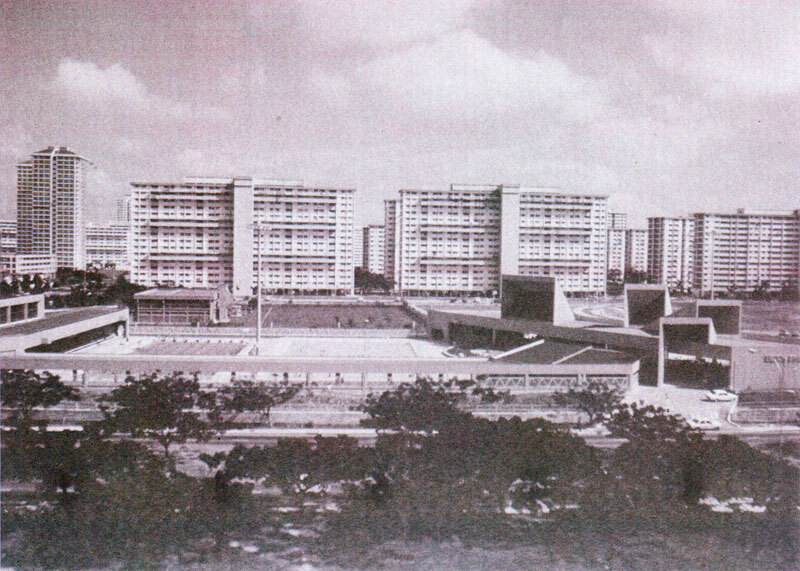 It was conceded by 1999 that Asian Village 'never took off' and was one of Singapore's several 'boring' attractions which failed to draw tourists back for a second visit. 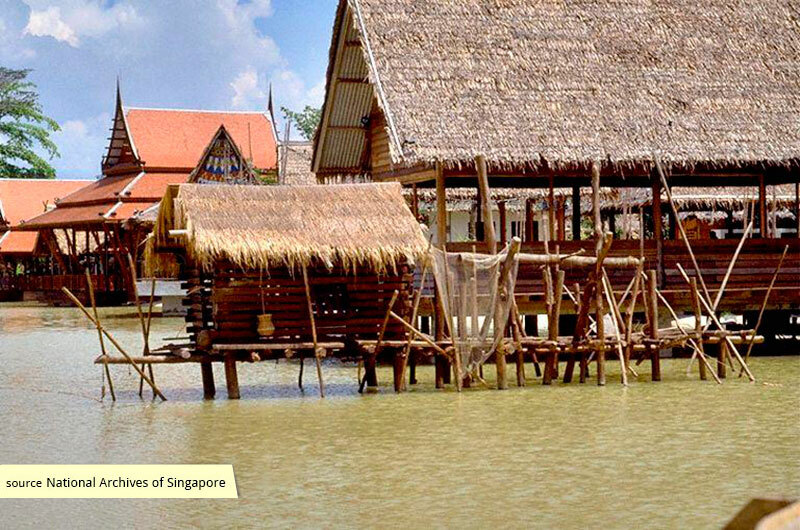 The Village closed a year later due to poor visitor numbers and sometime later, its central lagoon was rebranded as a Fisherman's Village, with the hopes of salvaging some of it's costly features. 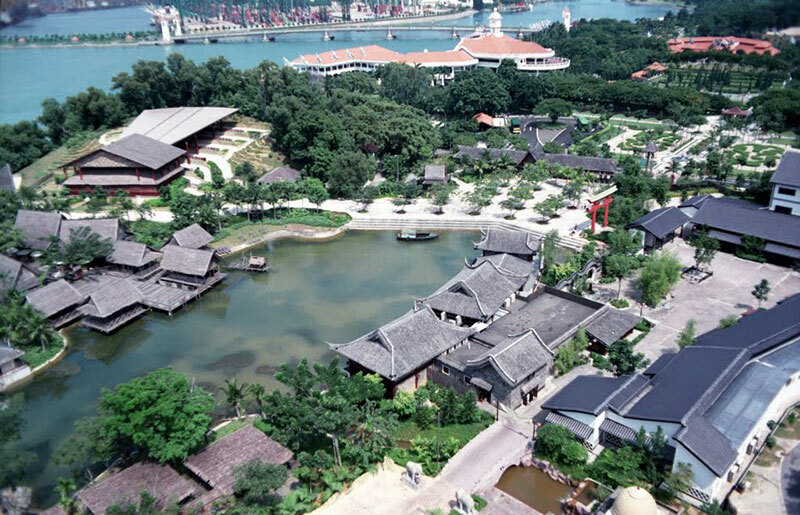 That project, much like the original Asian Village, never really caught wind and the attraction remained largely abandoned until it was levelled in 2006, making way for Sentosa's new marquee attraction, Resorts World Sentosa. 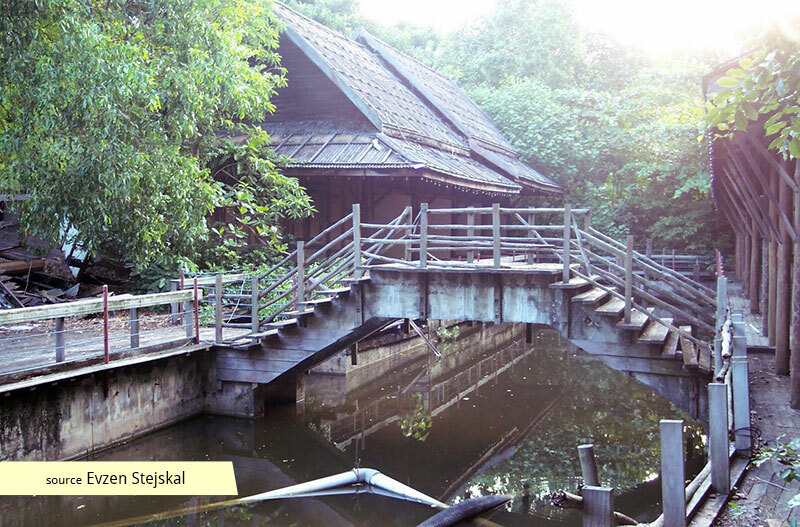 The Asian Village, with its distinctive waterways and ponds, can be remembered today in the form of the Marine Life Park, which houses the S.E.A. Aquarium and Adventure Cove Waterpark and now occupies that part of Sentosa.